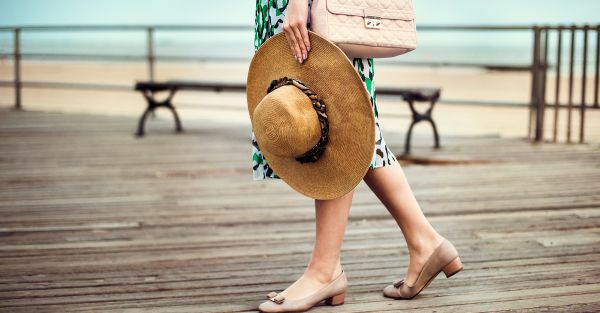 25 Tan Shoes To Make *Every* Outfit Look More Stylish! Dear ladies, we hope you know the importance of tan shoes in a woman’s wardrobe.They look extremely classy and can easily pep up the simplest of your outfits. Have you been looking for your “PERFECT” tan pair of shoe and haven’t found it yet? We are all set to put an end to your search. We promise, we have something for everybody. Happy shopping! 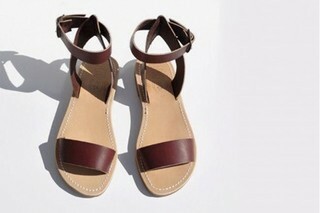 These flats have two tones of tan and are extremely comfortable. You can pair them up with basically anything for a casual outing in the city. Also, they are available at a very reasonable price! Price: Rs 499. Buy them here. 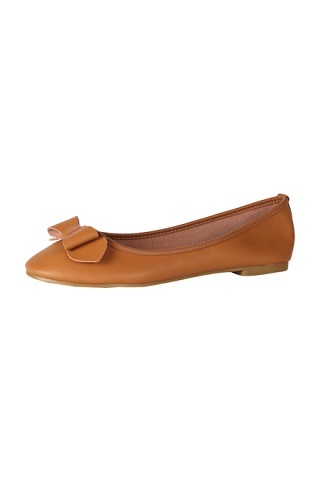 A basic pair of tan ballerinas is a must have in every woman’s wardrobe. 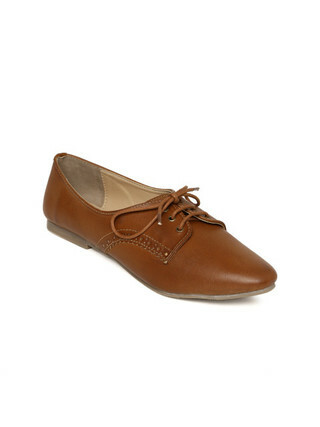 These Lavie Brown Pointy-Toed Ballerinas are perfect for daily wear shoes. You can wear them to college as well as the office. Price: Rs 679. Buy them here. Buy similar ones here. 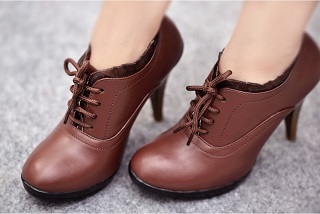 These gorgeous dark tan shoes for women are the equivalent of paradise for people who are looking for classy tan professional shoes. They are extremely reasonable and will suit every outfit. Price: Rs 699. Buy them here. We have not been able to get over these open tan shoes since the time we saw them. They are made of genuine leather and so pretty. We absolutely love the jewelled details! Price: Rs 1,049 Buy them here. An animal print never goes out of fashion. If you hate monotony and do not want all-tan shoes, you can try these. 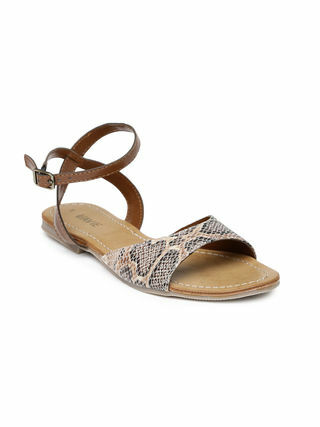 They have snakeskin print on a tan base and will make you stand out in the crowd. Price: Rs 679. Buy them here. These suede tan shoes for women are pointed and look extremely classy. If you do not like ballerina shoes, you can go for these instead. They will go with every western-wear ensemble! Price: Rs 899. Buy them here. .7. Do it the Taylor way! Channel your inner Taylor Swift wearing these heeled tan shoes from SSS. They are for all of those girls who are looking for something different. They look so sophisticated with everything - from mini skirts to dresses to pants. Price: Rs 599. Buy them here. This shoe list would not have been complete without including these gorgeous traditional Rajasthani juttis for women. 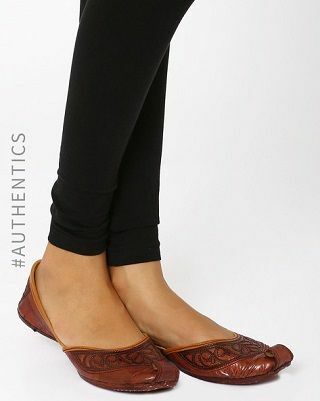 These traditional juttis with upturned toes are imbued with an old-world charm that will compliment every outfit you wear, not just the Indian ones. Price: Rs 757. Buy them here. 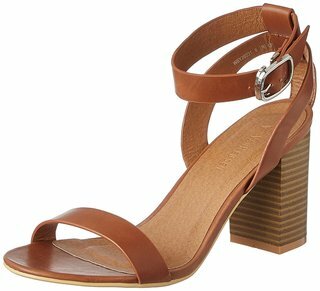 These dark tan sandals, styled with supple straps and metallic buckles, are set atop a towering block heel that will make you look edgy and sophisticated at the same time. Price: Rs 1,079. Buy them here. These suede tan flats are basically every girl’s dream. They will look good with everything, from dresses to cropped pants - and make your feet look super pretty! Price: Rs 700. Buy them here. Get straight on the professional front with these tan ballerina shoes from Allen Solly. Not only will they make you look polished, but also will keep you comfortable all day long. Price: Rs 980. Buy them here. Whoever said you cannot feel comfortable and look stylish at the same time has never been introduced to these gorgeous Forever 21 tan wedges.They are secured with dual buckle closures, have dual ankle straps and a heel collar and are perfect for a women in any occasion. Price: Rs 1,500. Buy them here. 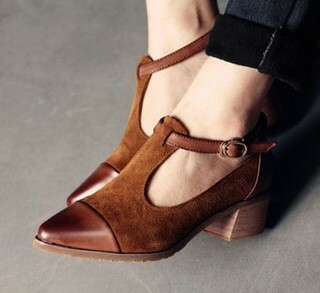 These classic tan heels are very similar to mules, and look uber fashionable too! You can just slip your feet into them and you’ll be good to go. Price: Rs 1,137. Buy them here. 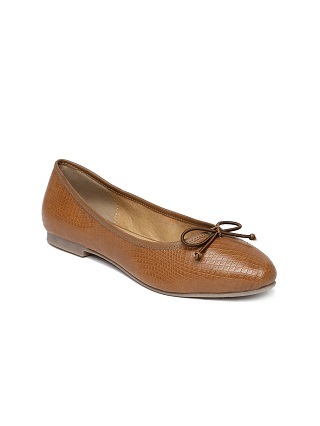 Crafted with faux leather, these tan flats for women are a sturdy investment for a well put-together look. They will keep you comfortable all day without compromising on style. Price: Rs 1,399. Buy them here. Trust us when we say this: these classic tan heels are going to be your new best friend! Chic and yet so dainty, they will compliment all your outfits to perfection! Price: Rs 1,695. Buy them here. These simple subtle flats for women are basic. You can wear them daily to college or office.They are extremely comfortable and look so stylish too! Price: Rs 499. Buy them here. These chunky tan heels are styled with crisscross straps and metal studs and have buckle fastenings. They are a combined package of edgy and feminine. What else do you even need?! Price: Rs 1,889. Buy them here. Buy similar ones here. These classy block tan heels for women will put you first on the “Well Dressed” list - if there is one! They are extremely comfortable with a padded sole that will make walking in heels much easier for you. Price: Rs 1,695. Buy them here. Pointed toe shoes in a patent-leather finish = classy. That’s all we can say! Period! Price: Rs 1,499. Buy them here. Keep your style simple yet chic in this pair of flat tan shoes from Lavie. You can pair it up with jeans as well as formal pants. They are extremely versatile in nature! Price: Rs 1,469. Buy them here. Buy similar ones here. 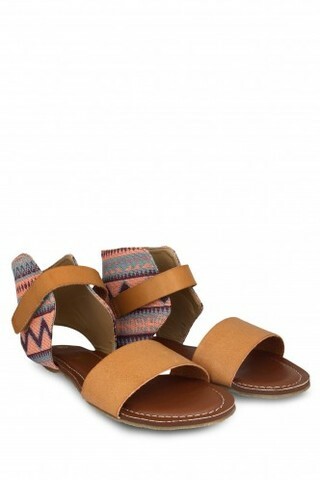 These tan flats with a hint of an Aztec print will set you apart from the crowd. They provide just the right amount of colour on the tan base and are good for both your comfort and style. Price: Rs 847. Buy them here. These gorgeous basic wedges from Forever21 hold a place in every woman’s wardrobe. They are so comfortable that you’ll be able to run in them!! Price: Rs 1,799. Buy them here. 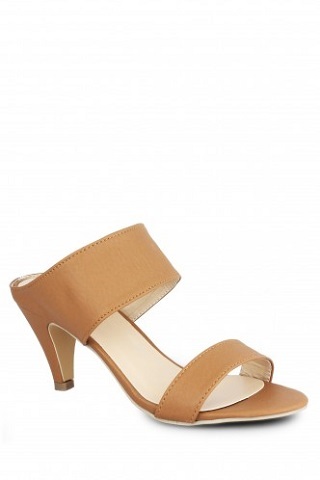 These Van Heusen tan block heels are the best we have seen today. Trust them to do the talking for you, even when the rest of your outfit is simple. Price: Rs 1,995. Buy them here. We are literally drooling over these gorgeous peep-toe beauties.They are a beautiful shade of tan shoes for women and would make you look extremely chic! Also, slingback pumps are a must-have in every woman’s wardrobe. Price: Rs 2,205. Buy them here. 25. Fun on the run! These Forever21 brown block heels are our personal favourites and would make every women look every inch of the diva that you really are. Just pair them with a skater skirt or a pair of denims and you’ll be good to go! Price: Rs 2,139. Buy them here. Featured Image: Shutterstock A place where girls can talk about ANYTHING. (No guys allowed!) ? ? Get the POPxo app NOW on Play Store and iOS App Store.